How many times has this happened to you? A friend excitedly tells you about a trip he has taken or something his family has done and pulls out a smartphone to show you a photo. Conversation stops, minutes go by while he madly scrambles through a multitude of unedited photos and can’t quite find the right one to show you. There are apologies from your friend as he scrolls through every visual he has ever taken and gets lost in long diversions when photos crop up along the way that somehow must be shown whether interesting or relevant to the conversation at hand or not. Boredom sets in and you lose interest until, if you are lucky, the desired photo is found. Editing would have helped a lot. In fact severe editing and organization is sorely needed in this world of easy digital image clutter. It’s as simple as nominating the few photos that are worth showing to a friend or stranger and having them handily available. All the rest is just clutter. The editing process begins when you first see a potential photograph in the field. Am I in the right position or would moving higher or lower, left or right improve the image? What lens would best represent this scene? What elements should be eliminated to make this photograph more powerful? Is a vertical framing better than a horizontal? Once these decisions have been made you might end up taking a dozen potential photographs each showing different variations on the same subject. Later that day or even weeks afterwards look again at those 12 images with fresh eyes on a colour calibrated computer monitor in your home. Is the image sharp? Do the colours, contrast and tone need correcting? Which of the 12 images you took of this one scene are the most powerful? You may still love the others but like a Marie Kondo cleanout, just thank them for helping you see the right image and then put them aside in a folder marked ‘Rejects’. I normally leave these images on my computer for a year before actually deleting them in case I change my mind or discover a flaw in my original choice. The photographs you have selected should then go through a second edit with ruthless eyes. From a destination shoot of perhaps 2000 images in total I will initially pick 400-500 images which I will then re-edit down to about 200 that I really want to keep. That’s about 10% or less of all the photographs I take. These final selects will be numbered, keyworded, colour corrected and output to various file sizes for use as large prints, web pages or to put into a digital slide show. Recently I calculated that I spend on average 7 minutes editing, keywording and correcting each and every image I keep - and that is working fairly quickly. Seven minutes each with 200 photographs works out to almost 24 hours or 3 solid days of work to get those final 200 images - so I definitely make sure they are my best and they deserve the time and effort I will be putting into them. Generally the only people who will see all 200 selected images are my stock photography agent and my long suffering wife. From these 200 images I may choose 10 photographs that are either special or unusual that I will keep on my phone or iPad to show friends and clients. So when someone asks me about a recent trip to a new location I don’t have to rummage through 2000 photos trying to find my best images, I just show the 10 that I am most proud of and move on. I also follow these steps with personal images of my family too so I don’t drown a viewer in a sea of photographs. We live in a world of too many things, choices, diversions and distractions. Editing is the key to making sense of it all. Upper valley of Aure in the Bielsa Valley, Pyrenees, France. Ngrupuk parade, Ubud, Gianyar, Bali, Indonesia. The Dolomite mountains in the north east of Italy have a split personality. On one hand they are part of the Alps but because of their predominant white limestone composition, they don’t look at all like the Alps in the rest of Europe. They are also Italian but every town has its own Austrian name as well as an Italian name. They have been fought over for centuries and the last bitter conflict in the First World War finally ceded control to the Italians. Dolomite towns therefore have a cultural mix of architectural styles, cuisine and languages and that is what makes them so fascinating. This rivalry played out recently when a spectacular 3000 year old frozen mummy was discovered by German tourists in the mountains of Austria. The well preserved body of the hunter dubbed Otzi was a sensation and made the covers of magazines around the world including National Geographic. However, when the body was freed from its icy grave and a museum proposed, a survey showed the body had been located a mere 92 meters inside the territory of Italy. Austria’s loss became the gain of the Italian town of Bolzano. The pale limestone composition of the Dolomites makes for dramatic photos and fascinating vistas. Coupled with a network of snaking switch-back roads the attraction for dedicated cyclists and bikers is almost irresistible. Back in Australia I had already come across cycle clubs training for a Dolomite holiday of massive climbs and dangerously fast descents. German and Austrian motorcycle clubs couldn’t resist the thrill also. One memorable day I remember seeing a dozen top of the line Audi sports cars, all in the same colour and presumably all from the same club, roaring past me doing their own Dolomite pilgrimage. On another morning I drove down a back road and unexpectedly arrived at a toll booth that required me to pay 25 euros to proceed for the next 6 kilometres. Taken aback I hesitated. Then, I reasoned that if the price was so steep the view at the end of the road might possibly be worth it. It was indeed. At the top I found myself at the most famous summit of the Dolomites - the Three Peaks of Lavaredo (Tre Cime di Lavaredo). The view extended perhaps 10 kilometres down a mist covered valley with mountains on all sides. Then, unexpectedly 1600 marathon trail runners who had started out in the middle of the night running with headlights on, crested the steep slope in front of me. By sheer chance I had stumbled on one of the most beautiful vistas in the Dolomites on an incredibly clear Saturday morning just as hundreds of marathon trail runners were making their final ascent. The Three Peaks of Lavaredo. There is something special about a city that restricts cars in its downtown core and promotes bicycles, boats, trams and walking as the preferred method of transport. The Dutch have always been known to do things differently and that’s why Amsterdam is so special. Amsterdam’s canals were made in the 17th century for defensive and commercial purposes but today they are at the heart of what makes this city unique. 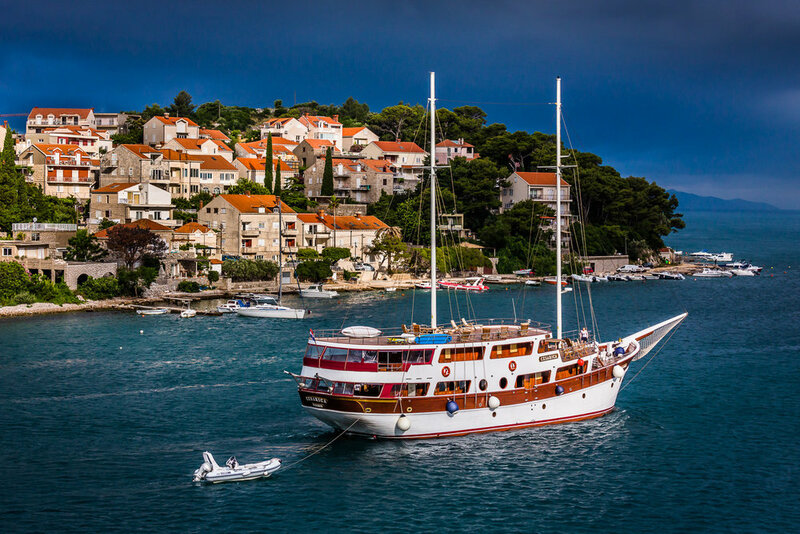 My wife and I arrived on a warm evening in early May last year and it seemed the whole city had taken advantage of the first signs of summer by boarding a flotilla of craft ranging from small motorboats to large tourist cruisers. If you owned a boat or could possibly get on one somehow that night, you were out celebrating with friends. Everyone was in a good mood playing music, drinking Heineken and enjoying what seemed to be the Dutch Rite of Spring. As a photographer and traveler I’ve always believed the best way to explore a new city is to start off by staying in the thick of things. In this regard the Ambassade Hotel was perfect. It is located on the Herengracht Canal and each room is individually crafted out of four adjoining canal houses. The hotel has evolved from its early beginnings in 1953 to become a very stylish home for visitors. The library bar is stocked with books written and signed by famous guests and the artwork consists of an extensive collection from the world-renowned CoBrA movement. Their brassiere restaurant is world class too. I don’t usually promote individual hotels but in Amsterdam I do think the Ambassade is at the heart of what makes this city special. For photographers, Amsterdam’s gallery scene is second to none. The newly renovated Rijksmuseum with three stories chocker block full of fabulous art requires more than one visit as does the the new Hermitage Amsterdam which opened in 2009. The Van Gogh Museum, also newly renovated, is a special gem as is the nearby Stedelijk Museum showing contemporary art. Amsterdam’s photography museums such as the FOAM Photography Museum and the Huis Marseille Museum for Photography consistently have excellent contemporary and historical exhibitions that are thought provoking and inspiring. Venice is drowning in tourists. It is also drowning in water but the more immediate concern is the sheer number of visitors that flock to this artificial island. 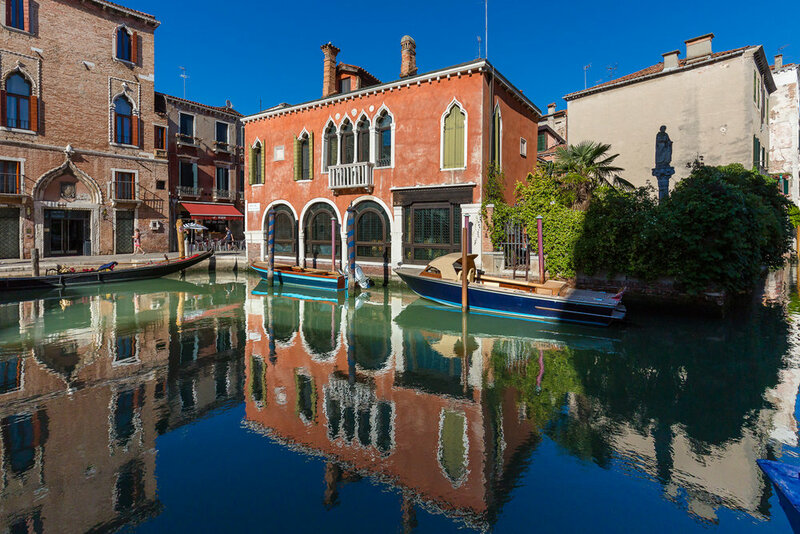 Actual Venetian resident numbers have decreased because of soaring real estate costs. Local anger towards tourists has manifested itself in posters, graffiti and targeted publicity campaigns. Imagine that if you lived there, just getting to work on an overcrowded vaporetto would be a nightmare. Weekly grocery shopping would require long trips to the mainland. It’s Disneyland on water with too many gawking tourists. And yet, Venice is extremely beautiful, culturally rich and yes, magical. It still reaches out to the world to come and visit for film festivals and art biennales. It also offers one of the biggest cruise boat terminals in the Mediterranean. So how to square this dichotomy and enjoy the city without feeling overwhelmed? For starters you could visit in the midst of winter which I am reliably told is much quieter, colder and relatively untrammelled. 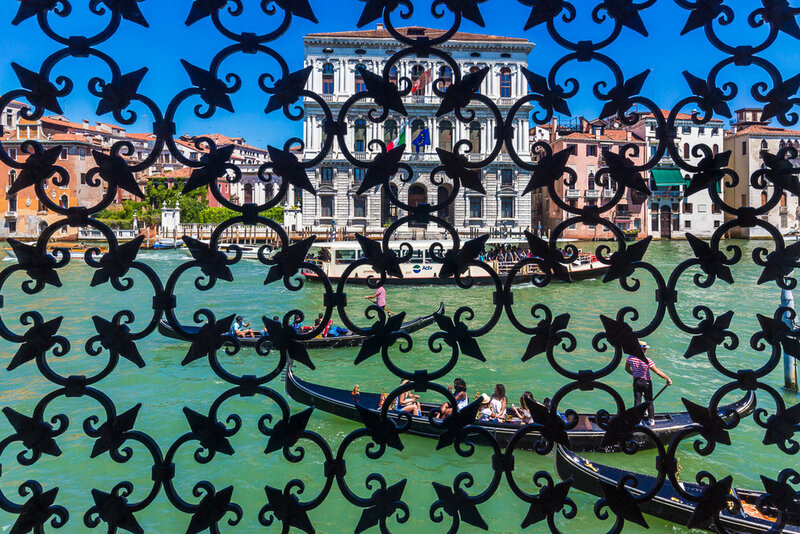 But if you want to go at a warmer time or if you would like to visit the Venice Biennale as I did, you’ve got to brave tourist crowds or come up with a strategy and a plan. My workaround was to get up at sunrise each morning which in June was about 5:00am. This is a special time with the whole city quiet and deserted for about three hours. I was able to walk anywhere and pretend I was in the Middle Ages or the Renaissance as all the buildings and bridges haven’t really changed in many many years. The only slight anachronism came from the occasional barge delivering flowers or vegetables to a market or taking laundry from a hotel. Around 7:00am the working Venetians started to arrive and cafes opened to fortify them with a bracing expresso and a hot pastry. The canals were still relatively empty and gondoliers emerged to lovingly prepare their craft for the day’s work ahead. By 8:00am I was finished with my photography. 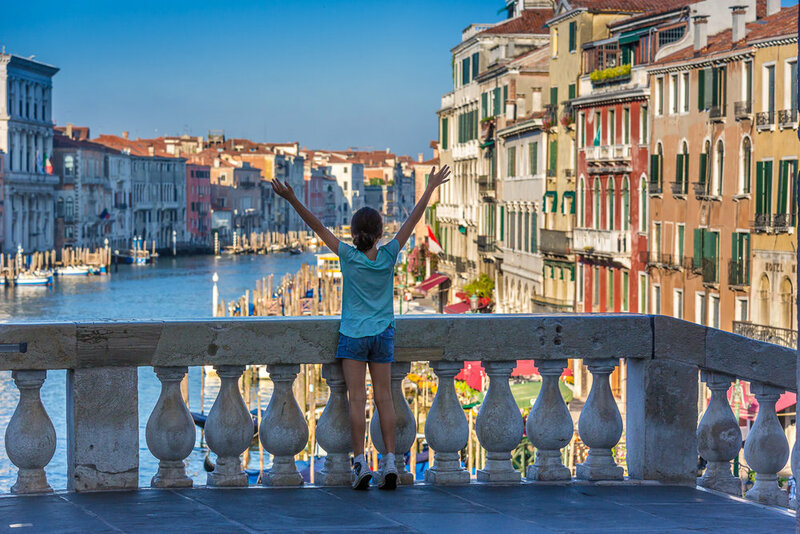 I had enjoyed all the best light, and had caught Venice in a relaxed mood. As the first foreign tourists started to appear in the piazzas at 8:00am, that was it for me. I headed back to my hotel to join my wife for breakfast knowing that I had already explored the city and had done a good day’s work. After breakfast, while others bustled out for crowded tours, we headed to the cool interiors of Venice’s many churches, museums and art galleries to beat the mid day heat. I repeated this routine every morning for 5 days and I must admit that every day was unique and inspiring. On the way in to Venice we had dragged our luggage to our hotel from the train station over numerous bridges and cobblestone streets (there are no taxis) so we decided to splurge when leaving and took a sleek wooden water taxi to the airport. As we zoomed along the Grand Canal taking in all the famous sights I felt like George Clooney for a few minutes with my Italian driver beside me wearing his striped shirt and cool mirrored sunglasses. And where in the world could you pull up in a speed boat under an international airport and ascend an escalator into the Departure Terminal? Venice of course. Pure magic! Cruising is not for everyone. It seemed liked a good idea at the time but I am a travel photographer used to planning my own itinerary and stopping to photograph wherever and whenever I wanted. I reasoned that with a luxurious cabin complete with sliding balcony doors to open and shoot from, a large sundeck to wander around, plus gourmet meals laid on, what could possibly go wrong? In the past I have done assignments and lectured for National Geographic on small and mid sized cruise ships so I was aware that most of my fellow travellers would not be what I would call adventurous types. They would enjoy the regimented daily schedule of pre-arranged meal times, daily bus tours set out the night before and the evening shows of crew talent time. Cruising is comfortable travel with no fraught planning or decisions to make about what to do, where to go and when to eat. I reasoned I could live with this and might even enjoy the comfort and luxury. But alas it was not meant to be. My first inkling of trouble ‘up at mill’ was when my wife and I were told a month before the cruise that the itinerary from Cologne Germany down to Basel in Switzerland had been reversed. With onward hotels and flights already booked our only option was to get the cruise company to fly us to Basel and when we arrived in Cologne after the cruise then take a train back down to Basel where our trip would resume. I briefly considered cancelling the cruise and using all the money that we would save to hire a luxury Mercedes to drive down the Rhine and stay in swank hotels. As it turned out, not doing this was my first big mistake. 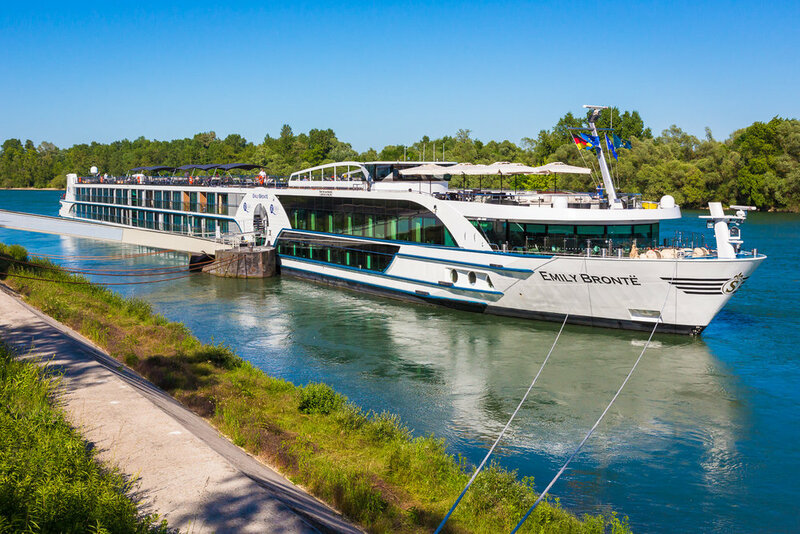 River cruising in Europe is extremely popular and there is a huge demand for more ships on already crowded rivers and waterways. Our cruise was scheduled to cover a relatively short distance over eight days but unbeknownst to us, the highlight of the trip, the Rhine Gorge was covered in about two hours on one afternoon. Thank goodness the weather was sunny and hot that day! The rest of the trip cruised past German industrial facilities, coal barges and at best unremarkable trees along the banks. When we were berthed close to an interesting town we were often sandwiched between one or two other cruise ships so the balcony view from our room was looking into someone else’s cabin. In port cities like Strasbourg and Basel we were berthed in out of the way industrial areas requiring a long bus ride into the town. At this stage the cruise began to seem like a series of bus tours. So, was it worth it? No. Definitely not. We were bored, didn’t see much of the places we visited, were herded like sheep on to buses for shore excursions and generally felt out of place with the geriatric passengers. On top of this we didn’t see much of the Rhine Gorge scenery that we had booked the cruise for. In the end we chalked it up to a learning experience and vowed never to do it again. 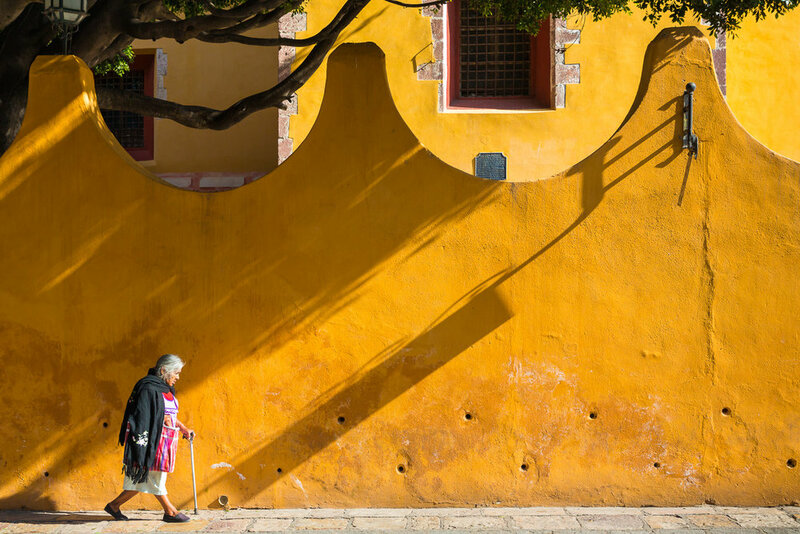 There is something special about San Miguel de Allende in the mountainous area northwest of Mexico City that has always attracted creative artists and writers. It could be that the town with its cobblestone streets has at its centre a delightful public garden and an ornate cathedral where everyone meets up to hang out and listen to mariachi bands. Another factor is that San Miguel founded in the sixteenth century, played an important role in the Mexican War of Independence. Festivals in San Miguel take place on a grand scale too attracting Mexicans and visitors from far and wide. And yet San Miguel’s residents still maintain a rare small town feel of friendliness and hospitality. And even more surprisingly, the town is not that well known internationally. In these days of overcrowded and over promoted tourist destinations, that is a distinct rarity. My wife and I had been invited to San Miguel by good friends and fellow photographers Bob Krist and Richard Ellis of National Geographic and Reuters fame respectively. Both had established bases there with their families to escape the harsh North American winters. December to April are the busy months for this southerly town but we had all arranged to meet up last year between September and November to photograph three iconic festivals - Mexican Independence Day, the St. Michael Archangel Festival and later on the famous Mexican Day of the Dead. I wasn’t sure what I was in for. After settling in to the laid back rhythms of the town though with its colourful markets, atmospheric restaurants and scenic roof top bars, I was pleasantly surprised. 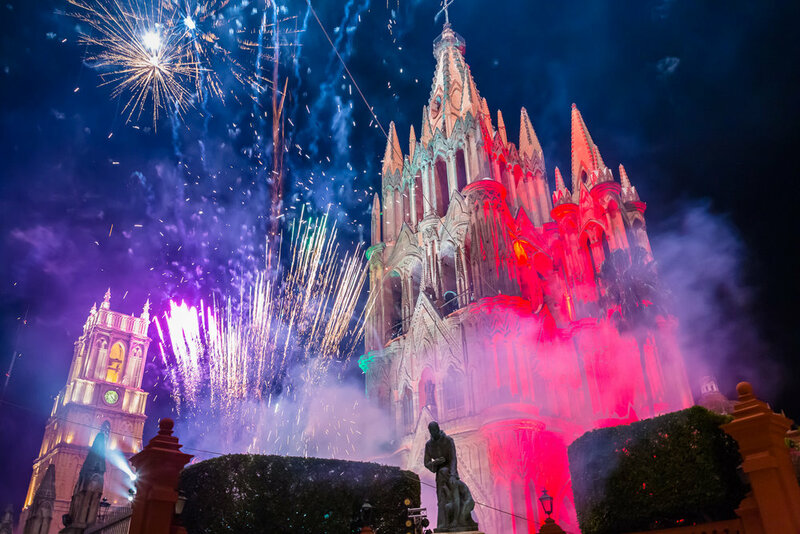 When Mexican Independence Day rolled around, San Miguel took a week to celebrate, with fireworks from the cathedral, dancing displays, and a large parade with hundreds of participants. In the following days, local cowboys on horse back raced through the streets recreating the historical start of the revolution, followed by religious processions, pole diving performances, and even displays of large puppets dancing in the streets. And then came the St. Michael Archangel Festival with its parade of thousands of costumed marchers and performers representing dozens of indigenous tribes from North, Central & South America. I had forgotten that Mexico and Spain had at one time or another controlled the entire west coast of North America including Texas and Florida and territory down through Central and South America. Living near San Miguel de Allende today are native representatives from many of these areas who have maintained their cultural identity and practices. They all gather annually for this festival to parade their heritage with pride. Needless to say, I had a field day photographing them all as they danced and marched through this historical centre of Mexico. Angels in the Procession of the Lady of Loreto. Procession of the Lady of Loreto. Historic horseback parade celebrating Mexican Independence Day. 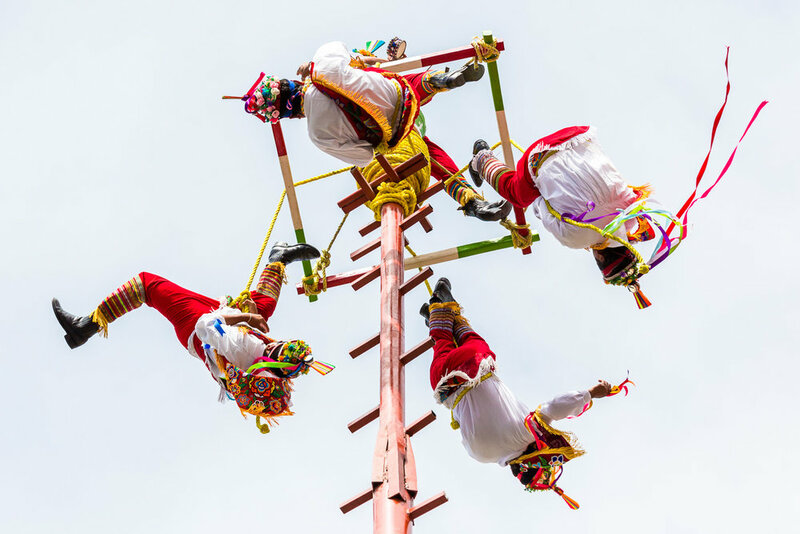 The Danza de los Voladores by the Totonac tribe at the St. Michael Archangel Festival. Indigenous tribal dancer at a St. Michael Archangel Festival parade. Indigenous tribal dancers at a St. Michael Archangel Festival parade. Having previously enjoyed a Swiss mountain holiday in the Jungfrau and Eiger region, my wife and I were keen to return last year. We are far from being expert climbers but we do enjoy walking in the Alps which offers stunning views and spectacular mountain photography. The best time to go I reasoned was in June with fewer crowds and just before the hot and busy summer hiking season began. In spring, many mountain peaks are still snow covered and wildflowers are in abundance. More importantly, the winter ski lifts that stopped running at the end of the ski season in April have enjoyed a well deserved break for maintenance and have started running again. Taking a lift to a high elevation to begin a walk along a ridge line or descend back into a valley makes spring hiking fun and relaxing rather than a test of uphill walking stamina and endurance. For a photographer this convenience allows me to concentrate on mountain images rather than straining to climb uphill with heavy photographic gear. Switzerland is the obvious choice for alpine mountain scenery as is Austria and northern Italy. All three countries offer an abundance of towns and villages to use as a base for several days of spring walking. The Bernese Oberland in Switzerland is dotted with small villages, cog railways and a variety of lifts that make getting around between mountainous areas relatively easy. 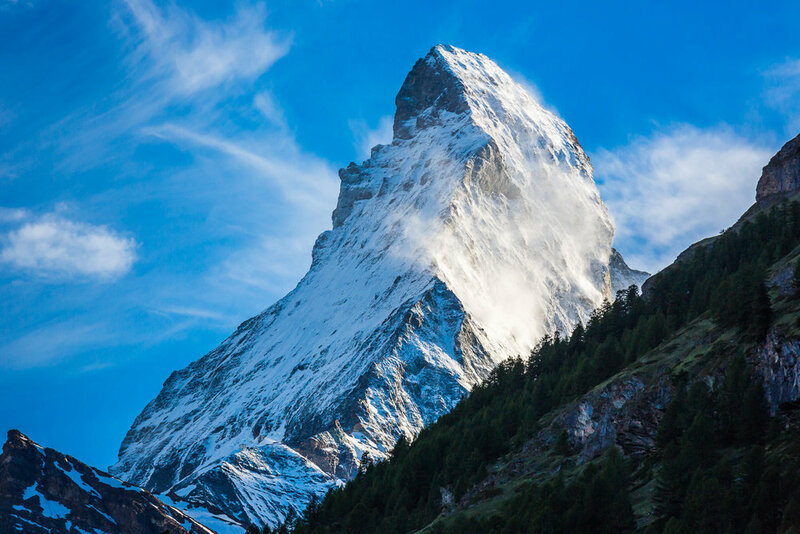 In the south of the country on the Italian border, Zermatt with its iconic Matterhorn is another central location as is St. Moritz in the east with its beautiful lakes and iconic scenery. 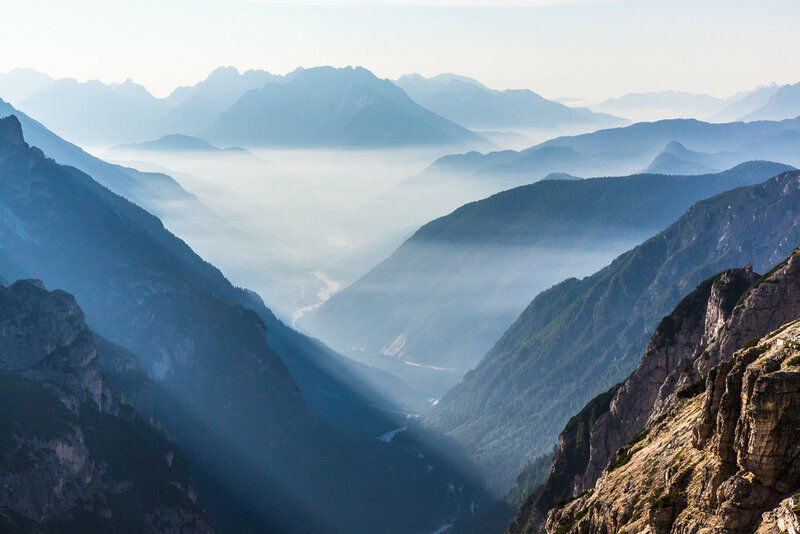 Across the border in Austria, Innsbruck and its hinterland of alpine towns extends northward into Germany and each area offers its own cultural interpretation of mountain life. Conveniently for travellers, all of these areas are connected by a super efficient rail network too. From my early days of working summer photography jobs in the Rocky Mountains in places like Banff and Lake Louise, I learned that the key to good mountain photography was to simplify my gear and take only what I needed. In this way I could walk long distances without a heavy backpack weighing me down. These days I limit myself to three lenses - 16-35mm, 24-105mm and 70- 200mm and use two camera bodies so I don’t have to stop and rummage in my pack to change lenses. In an earlier blog I wrote about the effectiveness of using telephoto lenses in the mountains of New Zealand so I rarely use my very wide angle 16-35mm lens. Fast and heavy lenses are not necessary for mountain scenery so small lightweight f/4 lenses are ideal. The new generation of super light, mirrorless cameras also work well in keeping weight down too. The best camera to use at any given time though is the one you have at hand. After a long day of mountain walking you will wish that camera to be lightweight, easily accessible and capable of obtaining great quality and detail without weighing you down. The Feast of Corpus Christi Procession, Seefeld, Austria. When my son announced he was getting married I should have been pleased. The big BUT elephant-in-the-room for me though was sitting in a laundry basket. With our new far flung relatives I would have to share all my family photos. And there were lots - a veritable laundry basket full of unsorted, un-captioned images. Like most people I put aside precious family photos and slides waiting for the right time and inclination to work out what to do with them. As the mountain of images grew, photos got shuffled around in various house moves, slides were misplaced and the names of old friends were lost in the fog of time. What made this more embarrassing for me was that I should have known better. I am a professional photographer and for the last 30 years have run commercial photo libraries representing hundreds of photographers from all over the world. At one stage I had twelve staff captioning slides in a two story building with purpose built filing cabinets and computer programs to control thousands of images. And then along came digital and everything changed. Today if it’s not virtual it’s not real. If you can’t see an image on a computer screen, send it by email or share it on social media it may as well not exist. Which brings me back to that laundry basket full of photos. Full Disclosure: After several weeks work I now have everything organised and digitised for my son, his family and his descendants to enjoy long into the future. I’ve also had lots of time to work out the easiest way to go about this mammoth task. The first step is to gather everything together. And I mean everything. Old slides, prints from your grandmother, school photos, Polaroids, albums, old hard drives - the lot. Now give yourself a big working space - in a home office, basement or loft where you can work undisturbed over a few days or even weeks. It’s not going to get done in a day so attacking the problem incrementally is the best way to proceed. To begin, sort everything by decades and then subdivide these by years. The idea is that for each photo you will eventually want to answer the questions: Who?, What?, Where?, Why? and When?. One thing that you will immediately come up against is your faulty memory. Mine was shocking. I found the best way to help me with this was to do a spreadsheet with years running along the top of columns and months running down the side rows. I then filled in obvious events for each year of my life like my birthday and when I started a grade in school. I could then look and see that I was 7 and in grade 2 in 1960 (yes, I am that old). I did the same for my wife and son so that when I looked at a photo I could confirm a date with the ‘Family Timeline’ spreadsheet. Now assume that to digitise your images you will need to spend at least 5-10 minutes converting each to digital and adding a caption. Multiply this time by all the images you have in front of you. Yikes! Will your children’s children care about the 28 photos of your first birthday? One or two will probably do, so use your judgment and set everything aside except the best photos. These chosen selections are what future generations will see of your life so place them carefully in plastic sleeves labelled by year in a binder. Do the same with all the others and mark them as ‘Extras’. Most modern digital cameras and smart phones have more than enough megapixels and quality to copy old prints. Just lay the photograph flat in an evenly lit spot and copy the image. There are even apps that will help you to digitise old album pages using your smart phone.You can give your photos to a professional camera store to do this work but it could be quite expensive. In my experience most people with a little practice can do this copy work themselves with a decent phone or camera. For slides I would suggest biting the bullet and getting them digitised professionally. Shop around for pricing and try not to send your precious originals off where they could be lost or damaged. If you are keen to digitise slides yourself, you can do this with a camera capable of closeups by photographing the slide in front of a diffused light source like a small light box. Just Google ‘copying slides’ to see videos on how to do this. With negatives be aware that if you go the DIY route, photo editing software will be needed to convert the colour negative into a positive to eliminate the orange mask. Professional scans of negatives are probably best and many colour labs now have dedicated equipment to handle this work in bulk. With digitisation completed, all that remains is assigning caption information that will travel with your photo files forever. Programs like Adobe’s Lightroom or Corel’s PaintShop work well and offer the best control for adding information. Apple & Microsoft have easier to learn programs but are more basic. Use full names in captions even with friends and relatives you know. I’m Dad to my son, Ian to my wife and Uncle Ian to several others. In thirty years time none of this will matter. 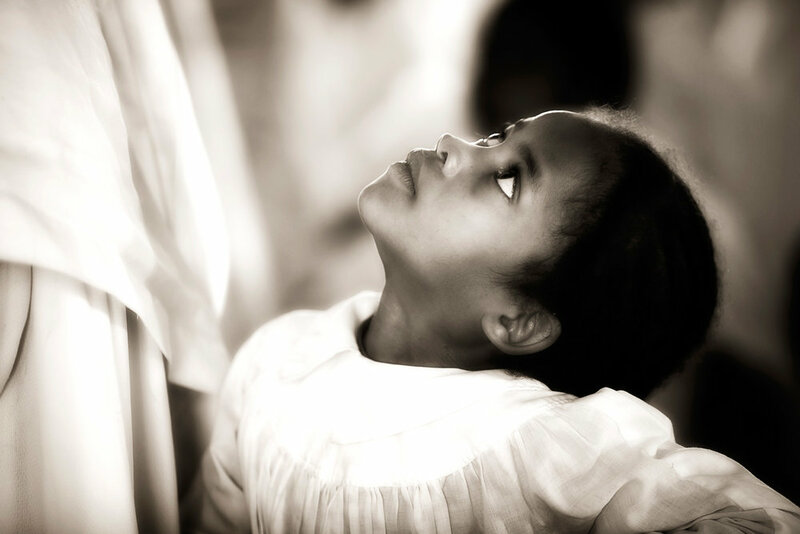 What seems obvious to us today will not be obvious to a generation as yet unborn. Now that you have a digital archive of family photos make sure you don’t accidentally lose them. You can start by storing them in as many different places as possible by copying the whole archive to an external hard drive or even a thumb drive. For added safety, backup to the cloud with Google Drive, Apple’s iCloud or Microsoft’s OneDrive. With your photos digitised it will be easy now to share your precious memories with friends, family and future generations. My life long interest in photography came as a young teenager whilst watching the magical transformation of a blank sheet of paper turn into an image in a darkroom developing tray. 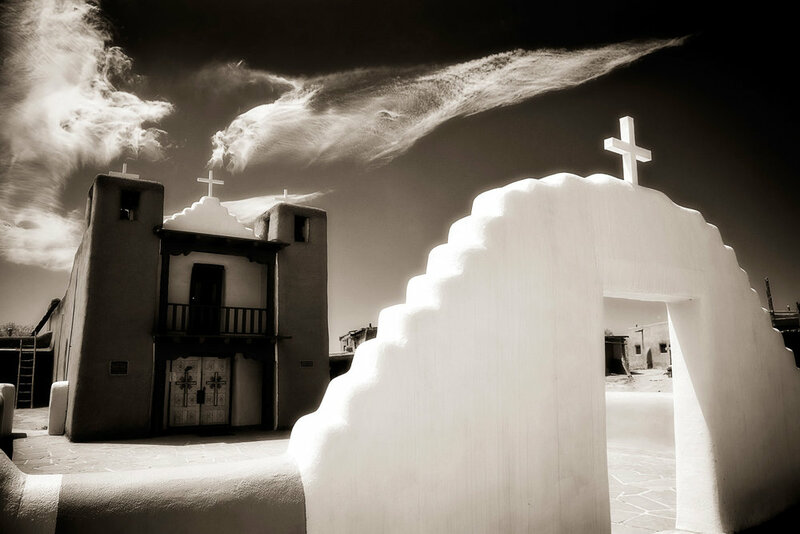 I began my career photographing with black & white film and still love the rich tones and sense of simplicity that eliminating colour from an image can bring. Digital photography is a blessing in that it allows me to choose later whether I want an image to be in colour or monochrome. On top of that I can determine in Lightroom or Photoshop exactly what tones each colour will be converted to. Not all images work best in black & white but when they do they can be quite powerful. Having spent many years in a darkroom with different grades of paper and custom made dodging and burning tools, I enjoy the precise control that working with digital images on a computer brings. I also like to obtain very rich dark blacks by cloning an extra layer of black and by tinting the final output a slight sepia colour. 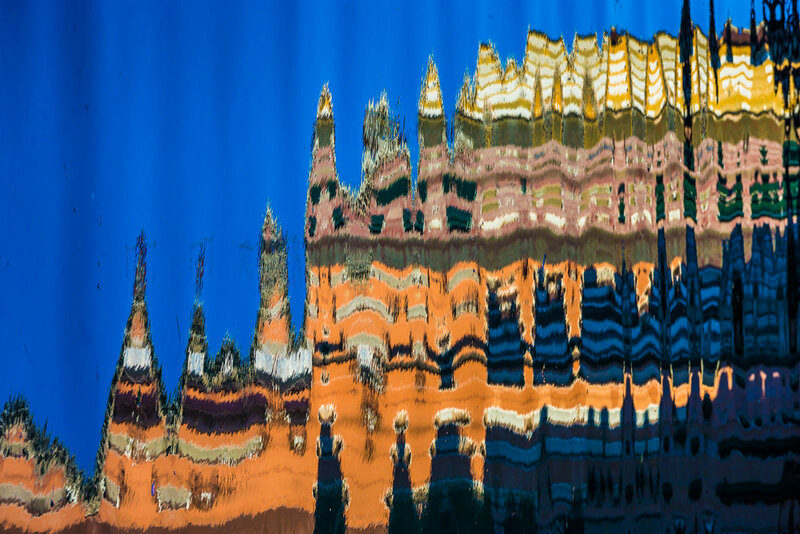 It may have been seeing an image emerge from a developing tray that got me started in photography but these days that magic happens digitally in front of a computer - at a faster pace, with more precision and without harming the environment with hazardous chemicals. Going to church on Sunday morning. San Francisco de Asissi church. 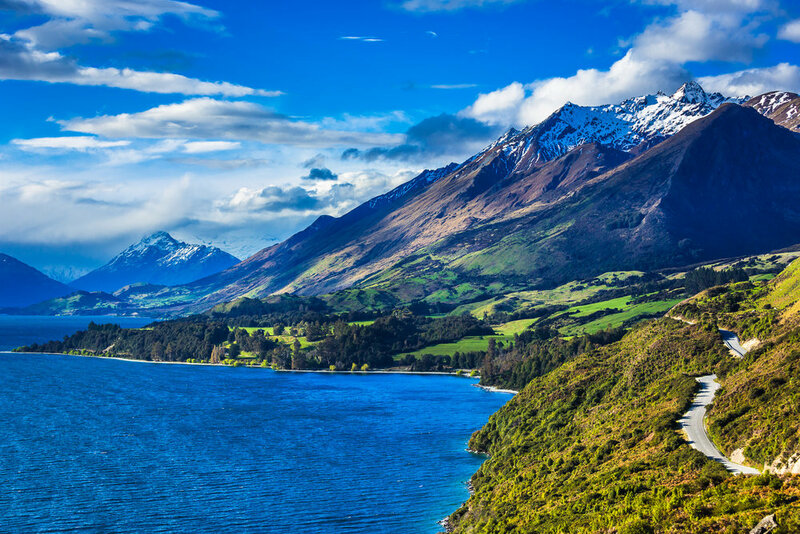 The Remarkable Mountains and Lake Wakatipu. 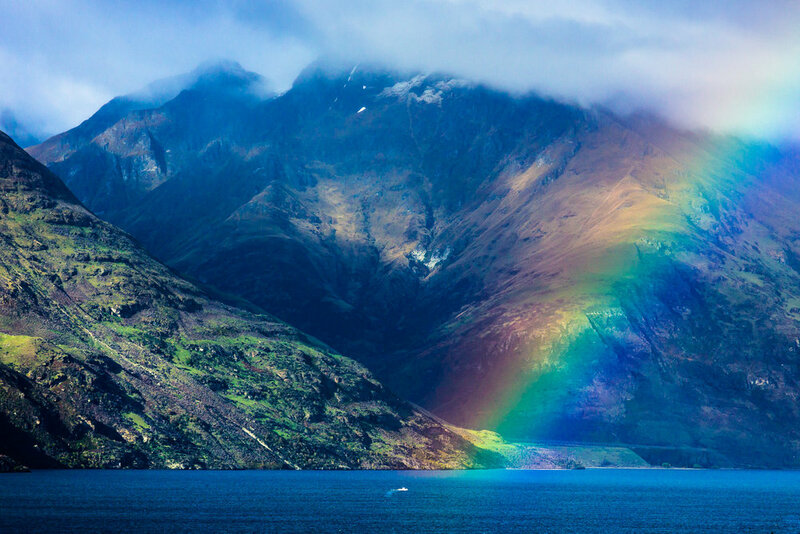 I was reminded of the difference between perception and reality recently while in the Southern Alps of New Zealand. 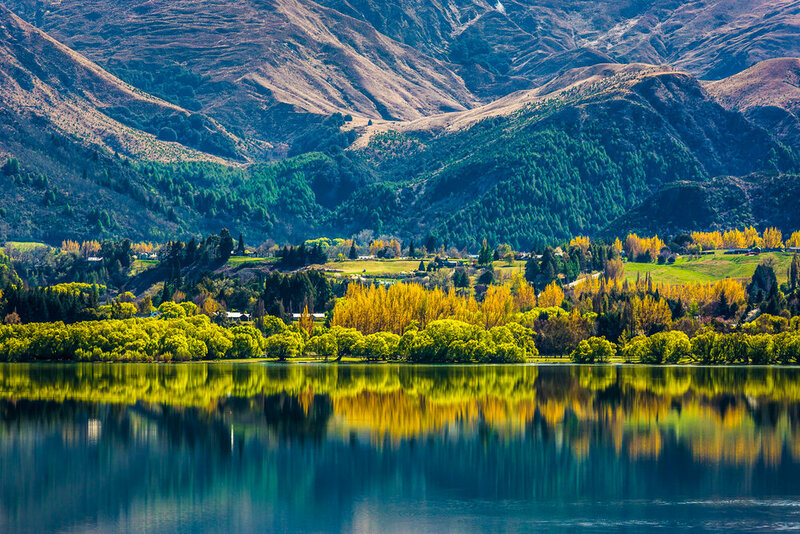 The area around Queenstown in the South Island is truly magical with snow capped peaks reaching right down to lakes and ocean fjords. The air is crystal clear and the light is quite special. The trouble was that I was surrounded by fantastic views which can make a photographer feel a little overwhelmed. How to capture all this beauty in one shot? My first instinct was to put on a really wide angle lens or use panorama mode to include it all in one frame. But then when you review these images later all this majesty gets reduced down to a tiny image that somehow misses the reality of just how big all those peaks were. The solution is to selectively photograph mountains with a telephoto lens. I often use a 150-200mm lens and don't even try to include the whole vista. I select a small part of the scene that has some sense of scale included like trees, hills or sheep etc and frame that dramatically in front of large peaks. I also try to minimise or even eliminate the sky as it can often be unnecessary or distracting. Good composition in the end often boils down to eliminating and simplifying what is in your field of view. As the saying goes...less is more. Croatia has become such a big tourism destination lately that it wasn’t until I was talking to a young hotel receptionist near Plitvice Lakes that the impact of the Yugoslav Wars in 1991 hit home. He casually mentioned that as a young boy he remembered his mother handing him out a window to a waiting relative below ahead of invading Serbs looking for Catholics. That was the beginning of 5 years as a refugee for him. It seemed that all Croats on both sides had sad stories from the war. Now, 25 years later, the country was at peace and except for a few bombed out buildings there was little to no evidence that this region had been a major conflict area. Dubrovnik along the Dalmatian coast was booming. So much so that the streets and walls were packed with visitors. Smaller island towns like Korcula had a more intimate feel with local ‘Plaka’ singers charming us with their a capella harmony practice in the town square one evening. 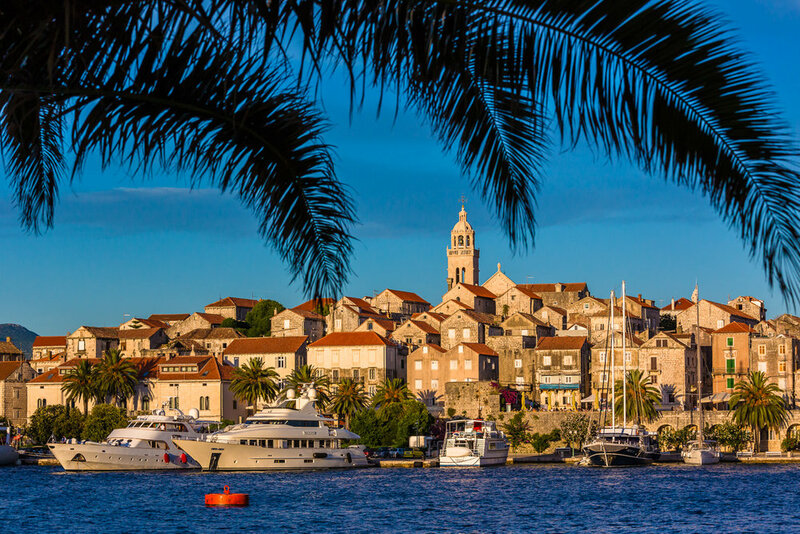 Further north the port of Hvar had become the darling of the European yachting and party crowd with its crystal clear waters and historic town centre. It was good to see prosperity return to the region though after such recent troubles. I didn’t think much more of the war until I was visiting the hill town of Motovun and looking for an elevated spot to photograph a sunrise from. I had been driving around local farms when I spotted a wooden tower that looked perfect. In my excitement I raced through a field and climbed up to a makeshift wooden platform only to discover it was set up as a sniper's lookout post from the war. At that point I remembered land mines and very very carefully retraced my steps back through the field to my car. Matera in southern Italy is one of the oldest cities in the world with 9000 years of continuous human habitation. Situated along a steep river valley Its stone cliffs became cave dwellings and also churches for early Christians. By the 1950s though, its residents were living in abject poverty without electricity or sanitation and often sharing a living space with farm animals. Photos from that era are pretty grim and the world was appalled. In its shame, the government of Italy with help from the typewriter millionaire Olivetti, initiated a plan to move the inhabitants to new apartment buildings and then boarded up the caves. Squatters and artists slowly returned in the 1980s and redevelopment began. 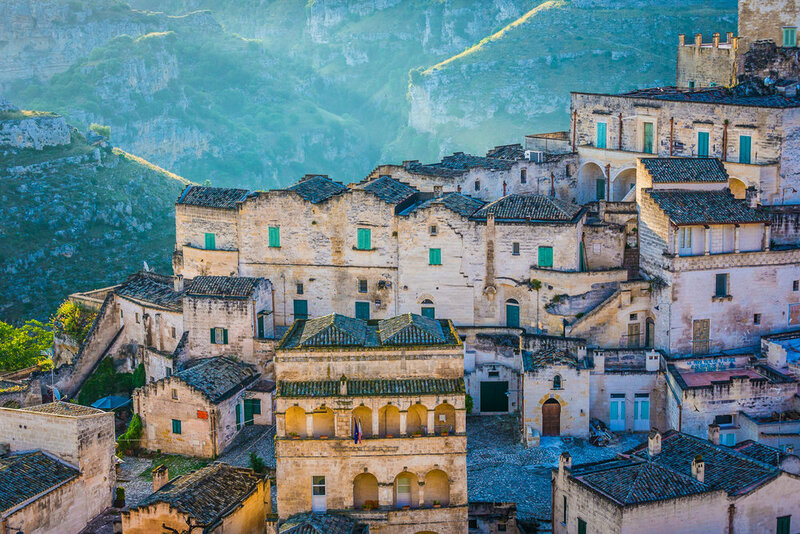 By 1993 Matera became a UNESCO World Heritage site while archaeologists continued to uncover ancient churches and cave paintings. With the return of services, the cave dwellings known as ‘sassi' were redeveloped as art galleries, restaurants and hotels. This amazing troglodyte settlement also became the perfect backdrop for biblical era films such as Mel Gibson’s ‘The Passion of The Christ’. Today, restoration is still underway and visitors are invited to explore Matera’s streets and tunnels whilst perhaps staying in an historic cave B&B. 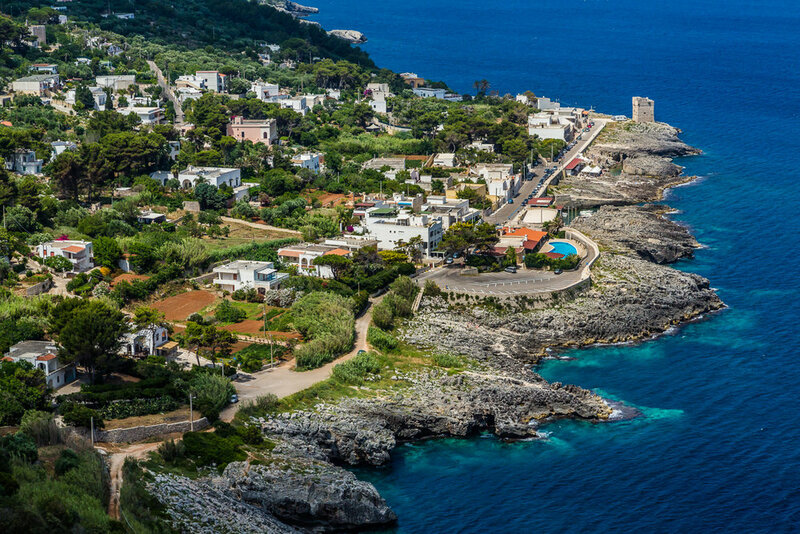 Puglia or Apulia as it is also known, is situated in the heel of the boot shape that is Italy. It is often overlooked for more famous Italian destinations in the north such as the Amalfi Coast, Rome, Tuscany, Florence, Venice and Milan. That in itself is a big plus as towns are smaller, tourists are fewer, and driving is easier. Its warm, coastal and is at the heart of a huge olive and wine growing region. Flying in to Bari, Puglia’s capital city, I had no idea what to expect. 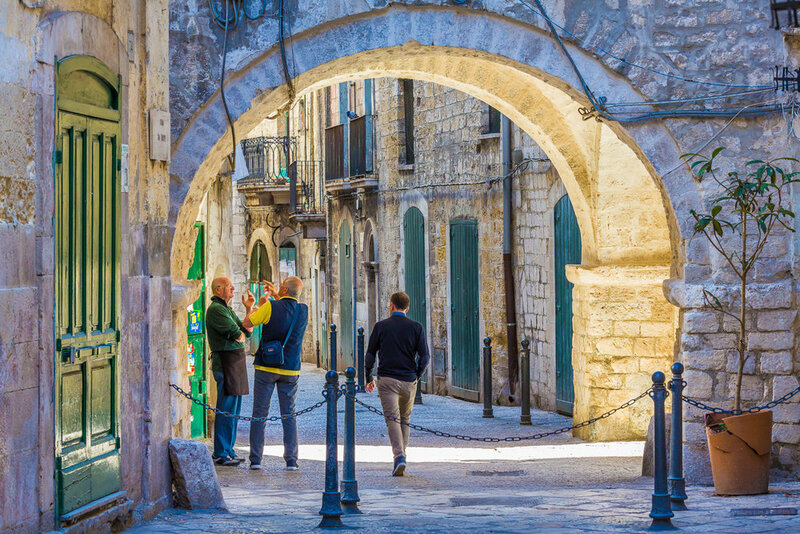 That evening Bari’s Old Town came alive with families strolling through the delightful rabbit warren of tiny streets seeking out restaurants, bars, hidden piazzas and some of the best ice cream shops in the country. Further down the east coast Polignano a Mare with its crystal clear waters was a relaxing tonic after a great deal of previous travel. From there Alberobello with its round white ‘trulli’ houses was like stepping back into a different age and nearby Lecce was in itself a baroque architectural wonder. Rounding the boot we came across unspoilt seaside villages and stayed in the delightful town of Gallipoli on the west coast. 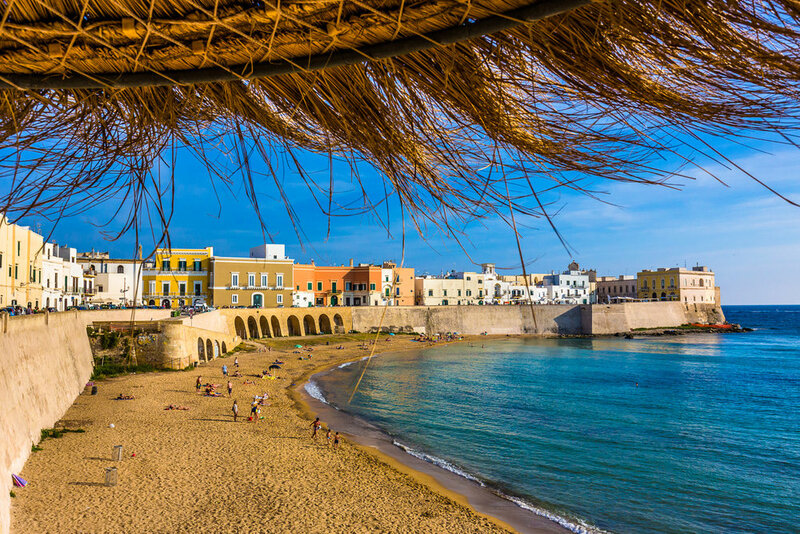 Foreign tourists were few in Puglia as it just wasn’t on their ‘Italy in 7 days’ itinerary. I’m hoping it remains that way for a long time to come! When my wife and I decided to spend a month in Sicily recently I imagined a dry barren island with rampant Mafia corruption and ordinary Italian food. I was wrong on all three counts. The food for a start was superb. It was always fresh and exciting and invariably was accompanied by delicious local wines. 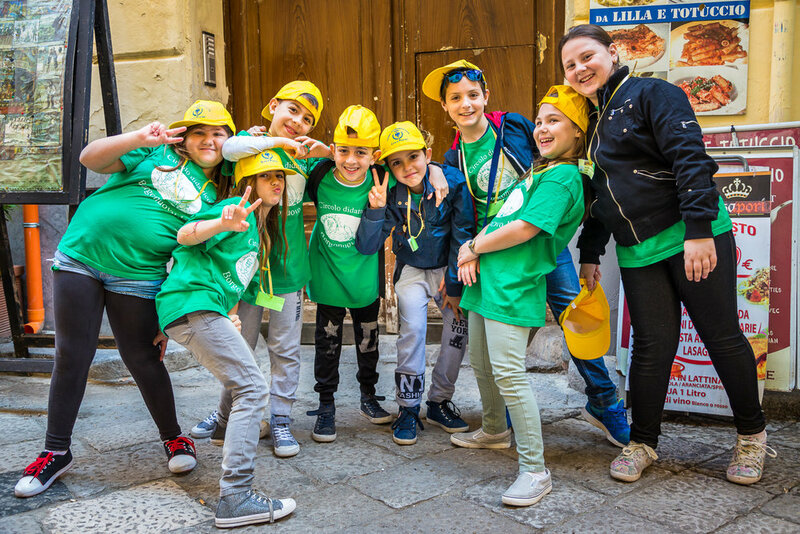 The Mafia does indeed have a long history in Sicily but the local ‘addiopizzo’ anti-Mafia movement has been effective and we certainly felt safe. Sicily can get hot and dry in mid summer, but in May when we visited, spring wildflowers and farm crops carpeted the hillsides in a riot of colour. This was not the Sicily that we had expected - which to me is what makes a truly memorable travel experience. 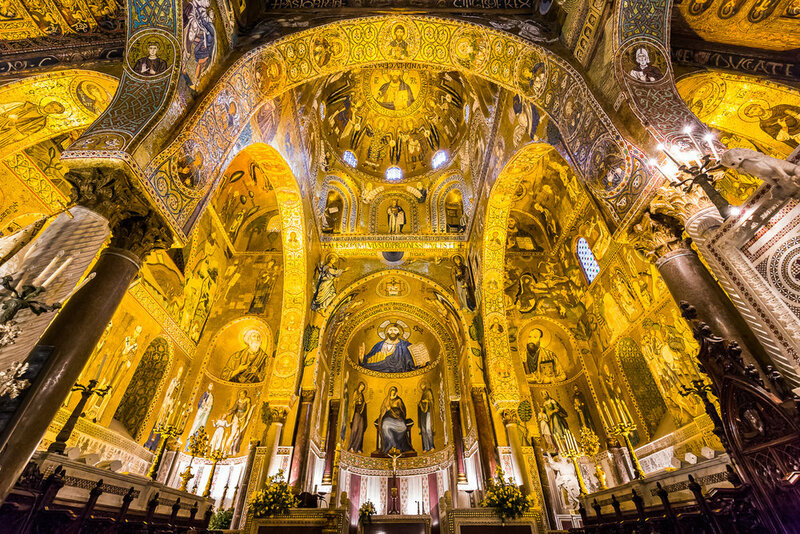 Sicily’s history is arguably the most interesting of any place on earth. Being located along a trade route in the middle of the Mediterranean, it has has been run by everyone from the ancient Greeks, Romans, Egyptians and Arabs to the Normans, Spanish, Austrians and French. All of whom left their monuments, architecture, food and cultural influences. 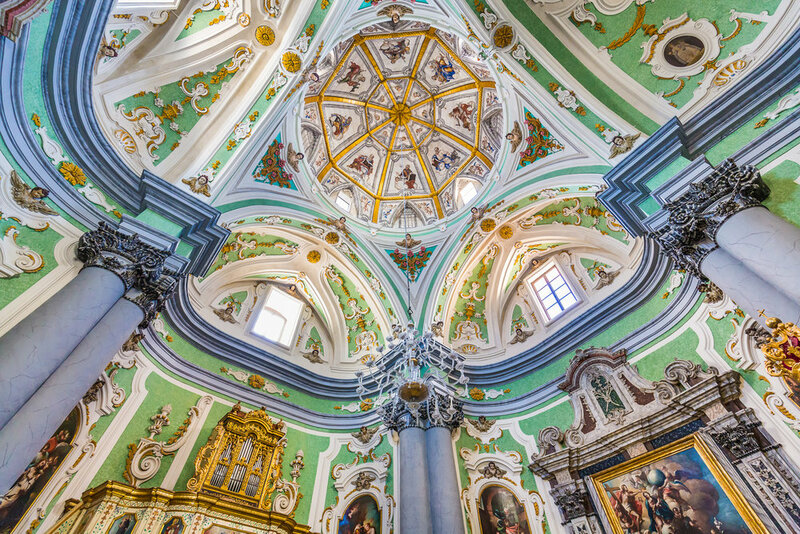 There are four wonderfully preserved ancient Greek and Roman cities to explore and towns like Ragusa, Noto and Syracuse abound in fabulously preserved Baroque architecture. 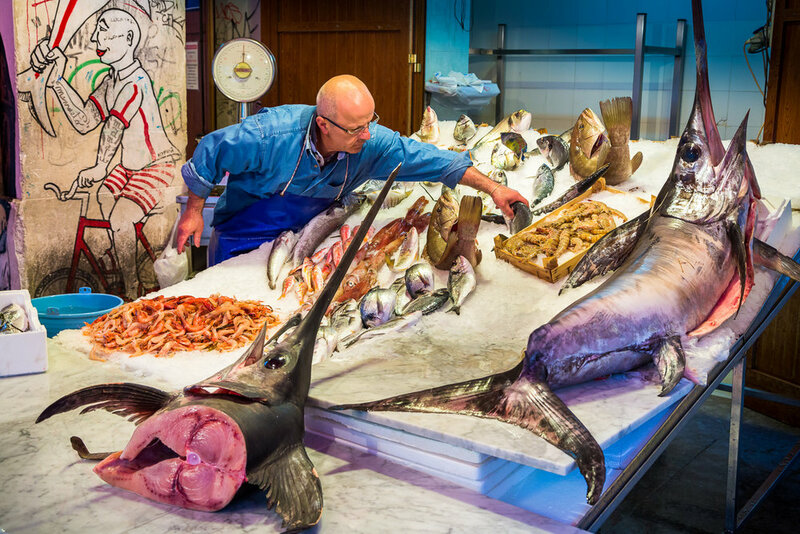 Food markets offer fresh Mediterranean seafood and local produce - including over a dozen different varieties of fresh tomatoes alone. Looming above all of this though was Mount Etna, a perfect cone volcano that you can drive and walk right up to its crater rim. 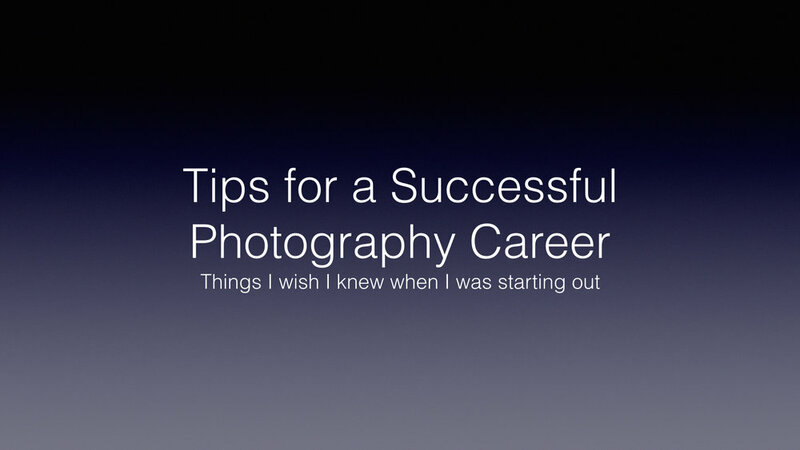 I was recently asked to talk at a college in Melbourne Australia to a group of photography students who were about to embark on careers as professional photographers. The following was my advice to them. You can download these suggestions with further explanations here. As a travel photographer I am often asked what is my favourite destination. Usually, my immediate answer is that it is the next place I am traveling to. But I do have favourites that come to mind. For remote rugged beauty - Bhutan. For food, scenery and art - Italy. But perhaps my all time favourite is Bali. I’ve been going there for almost 40 years now and yet this small Indonesian island continues to fascinate. Yes, it has changed a lot. Australians in droves and European party goers have invaded the south coast beaches of Sanur, Kuta and Legian. The road system is clogged. Mass tourism is straining resources. And yet…the Balinese are still among the friendliest people on the planet. They have a strong family based Hindu culture that binds communities together celebrating life’s rituals. Foreigners are welcome. Smartphones are common. 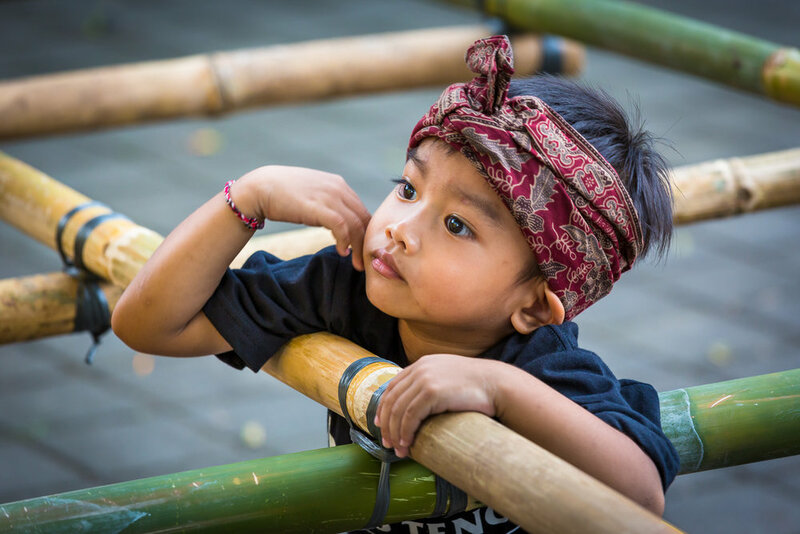 But for a temple festival, wedding, cremation or one of the many other cultural events, every Balinese in the area will attend and will dress respectfully in a sarong. A Balinese waitress, driver or accountant will always take time to participate in these local rituals to appease the gods. To not show up would be rude and looked down upon by all the other villagers. Over the years I’ve been to Bali countless times on assignment, enjoyed many vacations there with my family and have photographed five books on the island. 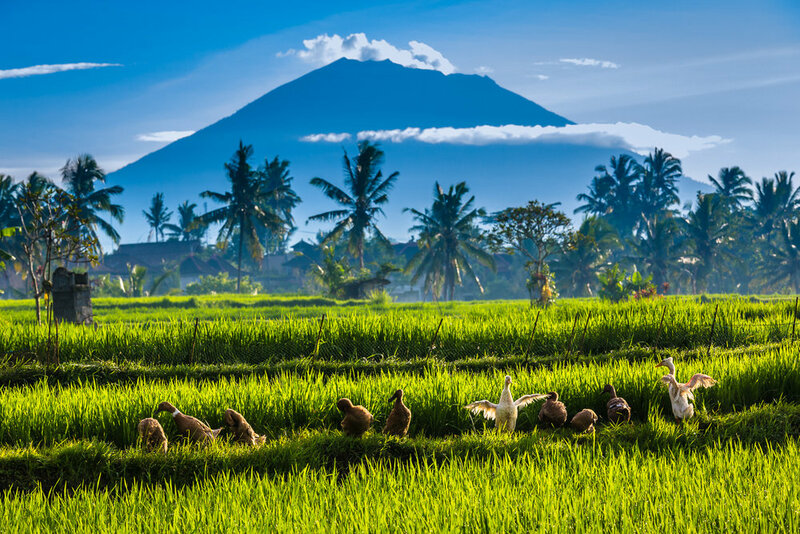 On a recent trip with my wife, I rented a villa among the rice terraces north of Ubud and planned to spend a month relaxing with friends and leisurely enjoying the local culture. I had no assignments to do, no books to produce or deadlines to meet. But I had forgotten how hard it is to ignore the visual spectacle of Bali. On our second day there a friend advised we attend a cremation ceremony. A high priest had died and to send him off thousands of Balinese paraded a huge bull and funeral pyre through the streets to the accompaniment of thousands of musicians, dancers and long lines of women with offerings on their heads. That was just the start. The next day was a three hour temple festival, followed a few days later by a wedding and then a baby celebration. I wasn’t looking for photo opportunities, they just happened to be all around and irresistible not to photograph. On another day I visited a spectacular world heritage site of rice terraces, and an amazing traditional village - both of which I had missed on my many previous trips. On top of that there were three huge public art galleries with traditional and modern Balinese art to explore. I’m not going to even mention the world class restaurants, all day spa treatments and Balinese entertainment in the evenings. I think you get the picture. From my ‘restful’ vacation I came back home with hundreds of new images of Bali and a renewed sense that the island was indeed one of my favourite destinations. My wife Elizabeth normally books our travel accomodation spending a considerable amount of time getting us rooms in unusual boutique hotels, small B&B’s or interesting AirBnB apartments. But for some trips all these options are impractical and going mobile is the only way to experience a destination. In outback Australia renting a mobile home is a great way to experience the bush without having to buy a ton of camping gear or laying out the cash to buy an RV that you might use only once or twice a year. Companies like Britz, Maui and Apollo in Australia and New Zealand offer a variety of fully equipped vehicles complete with bedding, utensils, toilets and even showers. All you need to bring is your clothes and cameras, then buy some food on the way and you are all set for an extended outback adventure. Australia has some very good quality campgrounds or you can choose to head off road and try free camping wherever you like. Driving is easy with automatic Mercedes and Volkswagen vans and the real thrill kicks in when you realise you can stop anywhere for coffee or lunch or even for a few days. Being this self sufficient is akin to being a turtle carrying your home around with you at all times. For a recent trip from Darwin to Alice Springs and on to Uluru (Ayers Rock) this combined accommodation and transport proved ideal. We were able to camp out in style in the middle of nowhere and also meet a variety of interesting fellow travellers. Nothing beats watching a night sky full of stars after enjoying a home cooked meal and then retiring to a cosy bed. Scotland is one of the rainiest places on earth. My Scottish taxi driver told me he had never visited the nearby Isle of Skye as he always headed to the Mediterranean for his holidays just so he could experience some sunshine. But Scotland can very beautiful too so patience and pre-planning your accommodation is required. I’ve written about weather planning before in a previous blog, but another hedge I use is to book hotels near the centre of the action and a room with a view. This might cost a little more but I’ve found it is well worth it. Recently in Glasgow I experienced three days of almost continuous rain which I heard was not unusual. The hotel where my wife and I were staying was located right in the centre of town and anticipating the gloom of its sunshine starved guests the hotel management offered a free bar service in every room to lift our spirits. Late one afternoon, I was about to begin self medicating with a wee dram of Scotch when the clouds parted and golden sunshine revealed a city I barely knew existed. I sensed this was a very limited time offer so I grabbed my gear, took a few frames from our balcony and headed out to cover the city centre in the thirty minutes of light filled grace I had been granted. I knew all the locations having visited them previously in the rain. As I raced around like a madman possessed with two cameras around my neck, I was amazed at how beautiful the city had become with so much spectacular light and shade on view. It didn’t last long, so about 200 frames later when the rain resumed, I knew that I had the best coverage of the city I was ever going to get. I returned to my hotel room, thanked my wife for her prescience in booking such a convenient hotel room and then celebrated with that wee dram of Scotland’s finest. 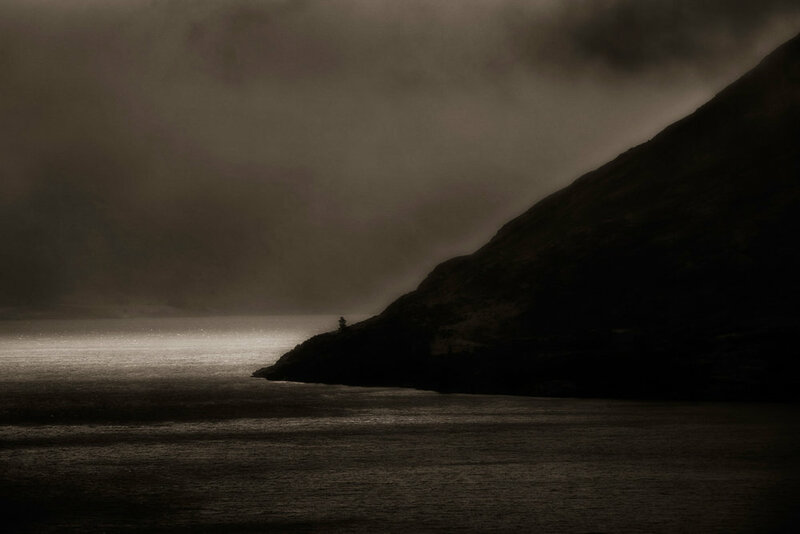 Ireland has some fantastic sights but The Ring of Kerry on the west coast offers photographers a range of spectacular possibilities in a relatively small area. From highland lakes and a national park near Killarney to fantastic rugged coastlines and charming rural settlements it seems to embody all the variety of visual possibilities we imagine when we think of Ireland. Its that good. But like most things these days that means a lot of tourists. Fortunately its usually a bus trip in the middle of the day for most, leaving the area relatively uncrowded at other times. Here are some things to keep in mind for your visit. First off, it rains a lot in Ireland so plan your trip with seasons and weather in mind. Allow 2-3 days in the area so you can wait for that break in the drizzle. 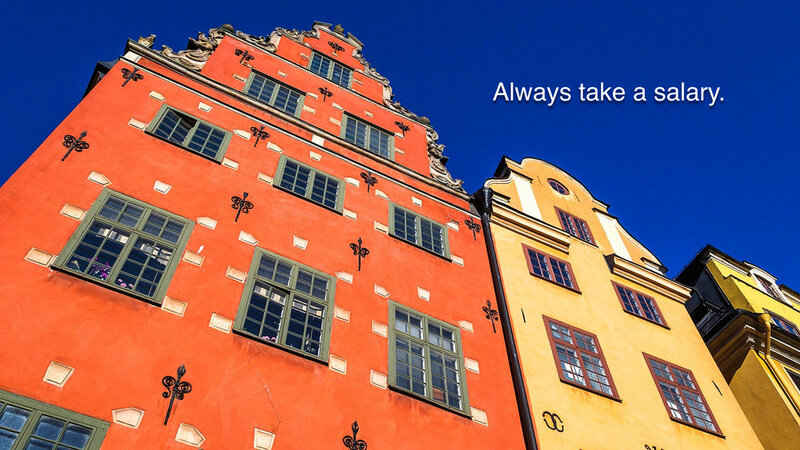 If you can afford the time, stay at one of the small towns along the way. Better still, wander off the main track to stay at places like Portmagee or Ballinskelligs and you will have the place to yourself. A car will give you flexibility but the single lane roads make stopping difficult at times. Meeting an oncoming tourist bus hell bent on making its daily schedule can be a white knuckle experience and getting stuck behind several buses can be just as bad. The solution is to drive early and late in the day and complete the circular route in a clock-wise fashion as the buses travel anti-clockwise. It also goes without saying that renting a small compact car will make life a whole lot easier. Travel has changed. Thanks to easy airline connections, places that were once exotic and little visited are now on everyone’s bucket list. The internet has taken the guess work out of travel with recommendations from Trip Advisor, accomodation available on sites like AirBnB and even translation apps de-mystifying a foreign language. What’s more we all carry maps, books and sophisticated cameras in our pocket in the form of a smart phone. As a result, wherever you go these days, countless tourists are already there taking millions of photos. So when I visited London recently I wasn’t surprised by the huge throng of visitors that swarmed around every famous site and took more pictures in a few seconds than I could take in a whole year. As a professional travel photographer I research destinations before I go to get an idea of what I can expect to see. Sites like Pinterest, and stock photo agencies such as Masterfile and Corbis oblige with carefully chosen and expertly crafted images from all over the world. What was particularly intimidating in London though was to come up with unique arresting photographs that somehow were different from everybody else’s. My recipe for doing this was to block out all distractions and imagine myself seeing a landmark for the first time - albeit with the memory of a million photographs previously taken in the back of my brain. 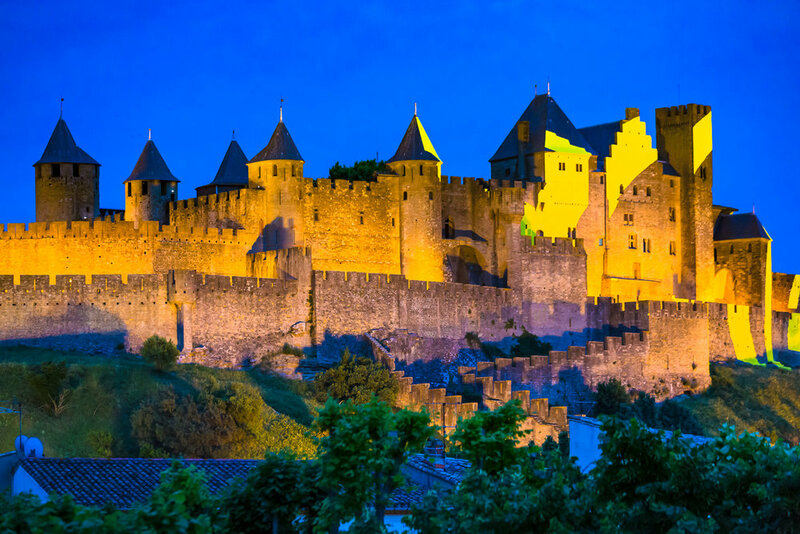 What magic could make this well known landmark seem captivating, beautiful and new? The ingredients I had to work with included time of day, light, perspective, angle of view, details, colour and finally, happenstance. Mix all these together and throw in a pinch of minimalism to eliminate distractions then stir slowly with a lot of patience. With time and a dose of luck it usually works. That's the exciting challenge I love about travel photography in the internet age. Nothing is guaranteed, its all made up on the spot with what is available out there. And there are always plenty of other photographers trying to do the same thing - some literally standing right beside you.